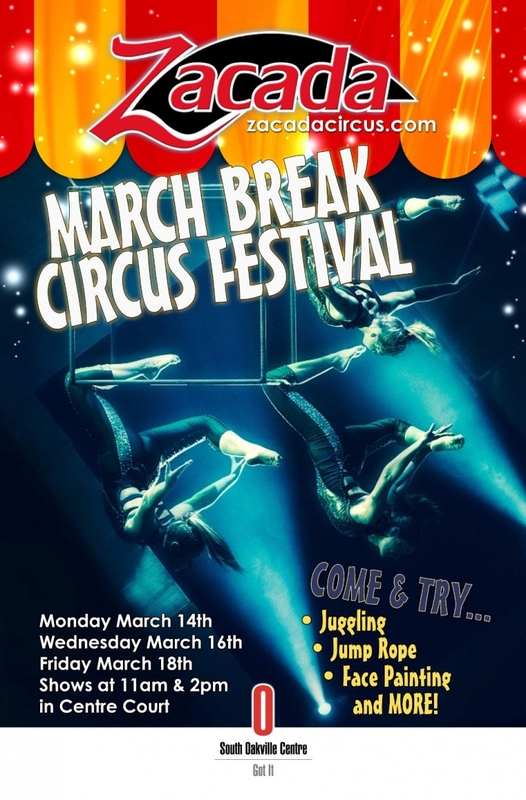 Join our partner company, Zacada Circus, for the March Break Circus Festival at the South Oakville Centre on March 14, 16 and 18, 2016 at 11am and 2pm. Try out juggling, jump rope, face painting and more. South Oakville Centre is located at 1515 Rebecca Street, Oakville, Ontario.